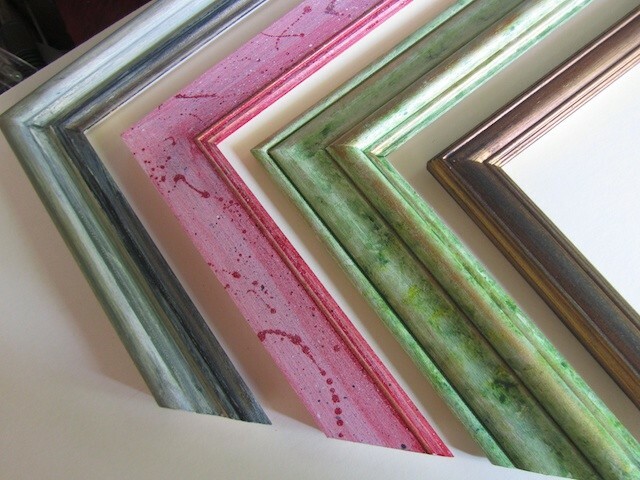 River Crane Framing offers a bespoke framing service for your personal framing needs, whether you have a poster bought years ago, the first piece of art your child brings home proudly from school, a photograph or your own art, we can discuss the style, colours and frame that can bring the piece to life. Choose a mount and style of mount is an art in itself! We can look at the impact of introducing a double mount, look at the variety of styles available and how these might enhance the art. I typically use Arqadia Conservation mountboard, which offers a wide selection of colours and textures, while also carrying properties designed to protect and not damage the art. As a rule I use 2mm standard float glass, however 3mm or thicker are available and recommended for some projects. We can also discuss whether specialist glass is appropriate for your piece. There are numerous different types of specialist glass that have anti-reflective coatings to help eliminate reflections and UV protective coatings that reduced the impact of sunlight. Generally I work with natural wood mouldings, sourced from a number of suppliers, providing a variety of finishes to bare-faced mouldings. I also have access to a wide variety of ready finished mouldings to suit most requirements. For most pieces allow 2-4 weeks from initial discussion to delivery, generally I try to accommodate your requirements and will discuss expected delivery at the start. Due to the wide variety of mounts, mouldings, glass and frame size, I can’t offer a price list on the site. I’ll always discuss your needs and provide a quote for your approval before any work is started. I do offer a discount when ordering multiple pieces.